Pontiac, Michigan, has been recognized by Main Street Oakland County as a Main Street community since 2002. Like its nearby sister cities of Flint and Detroit, the city was largely built upon the auto industry and suffered through a devastating financial crisis that left the city bankrupt. When Pontiac began to emerge from bankruptcy, millions of dollars of investment poured into downtown district. Yet, due to a lack of resources and direction, Main Street Pontiac (MSP) struggled to capitalize upon the resurgence. In response, UrbanMain and Main Street Oakland County joined forces in March 2018 to assist Pontiac stakeholders in putting their downtown organization back on a positive track, making Pontiac the first community in Michigan to participate in the UrbanMain initiative. In less than a year, the results have been impressive and a new board representing broad segments of the community and key stakeholder groups has been seated. With funding support from Main Street Oakland County, UrbanMain outlined four key transformation strategies – Health and Wellness, Tech, Arts and Culture, and Makers -- based on market analysis and existing downtown assets including a hospital, fitness centers, breweries, performance venues, and a haunted house attraction. Another key goal was to strive and reconnect the residents of Pontiac back to their downtown, which many residents felt they had lost. Launched a downtown run and partnered with walk clubs and local gyms. 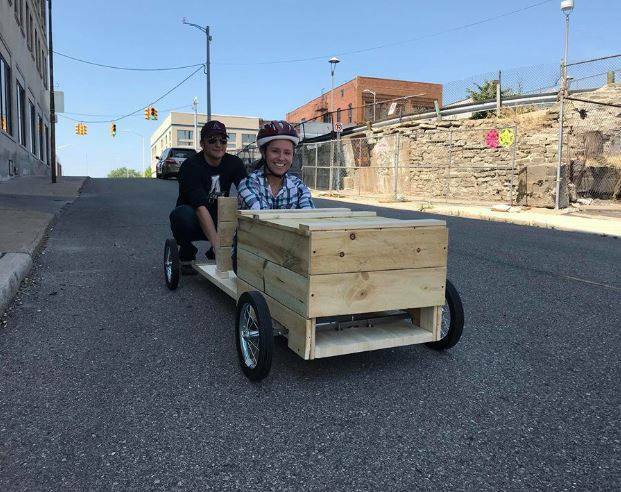 Created a STEAM oriented derby race initiative in partnership with General Motors that awarded scholarships to local students. Rallied multiple organizations and over 40 volunteers to create the inaugural "Hauntiac" -- celebrating all things Halloween. Re-established a facade grant program. Garnered support partners to launch a downtown security program. Served as the coordinating body for a business support grant program through Flagstar Bank that has invested hundreds of thousands dollars into new and existing businesses. The organization is also developing a partnership with the Eastern Market in Detroit to create an incubator kitchen for entrepreneurs and healthy food access options. As the community revives and retools its historic core, the downtown Pontiac revival is well underway.